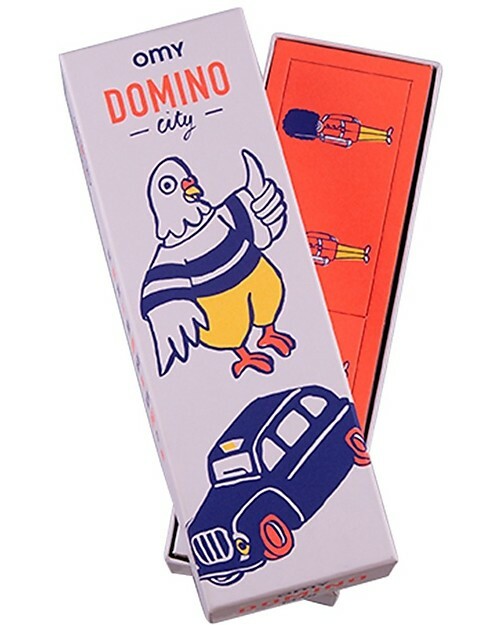 Dominoes Game - 28 Cards with Illustration of the World! 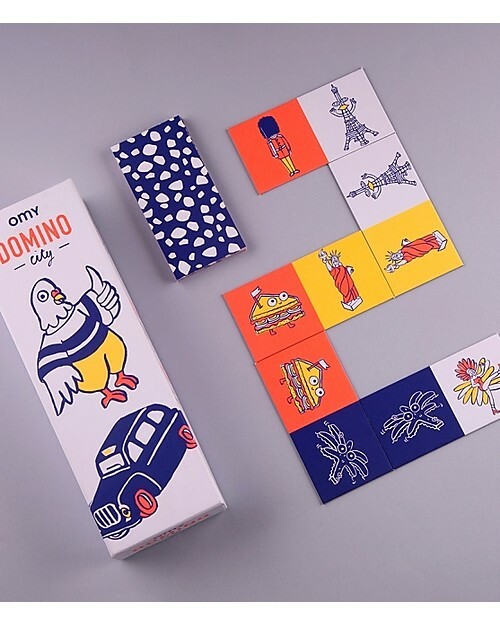 During a rainy afternoon, for a creative pic-nic or to entertain little ones for hours, the French brand Omy introduces a wonderful dominoes game! A classic game with original illustration: from Paris to Tokyo: let's discover the fantastic characteristics all over the world in a funny way! A great idea to encourage little ones' ability and to have fun with family or friends, enthralling the kids for hours and hours! 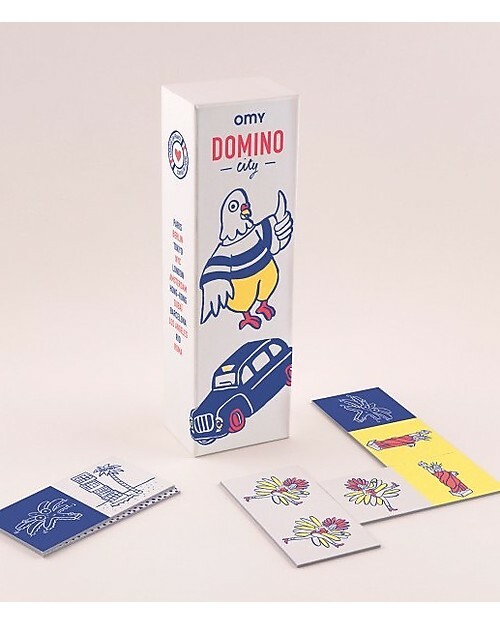 OMY Design & Play are passionate about graphic design, so their products are always original and innovative in their appearance; great visual stimuli for little ones! Founded by two designers, all OMY products aim to transform your living space into a colourful, educational environment. They endeavour to create exciting designs for all the family to enjoy! My Little Day are renowned for their simple yet effective approach to children’s birthdays. Their beautiful products and dedication to their work means all items are of the highest quality; the perfect collaboration for OMY!